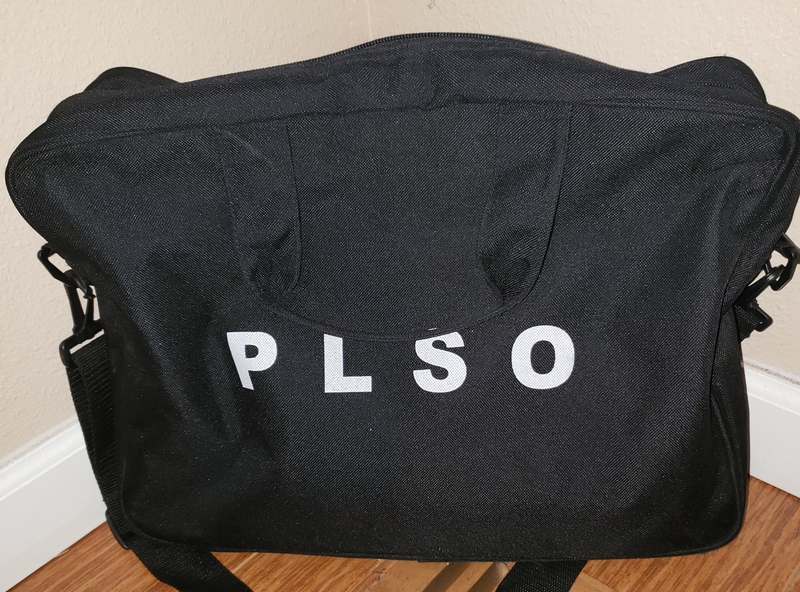 Black nylon messenger style bag with PLSO printed on side. SHIPPING: Shipping is $7.50. Please select the appropriate shipping option for delivery or you will be invoiced before it is sent. Thank you.